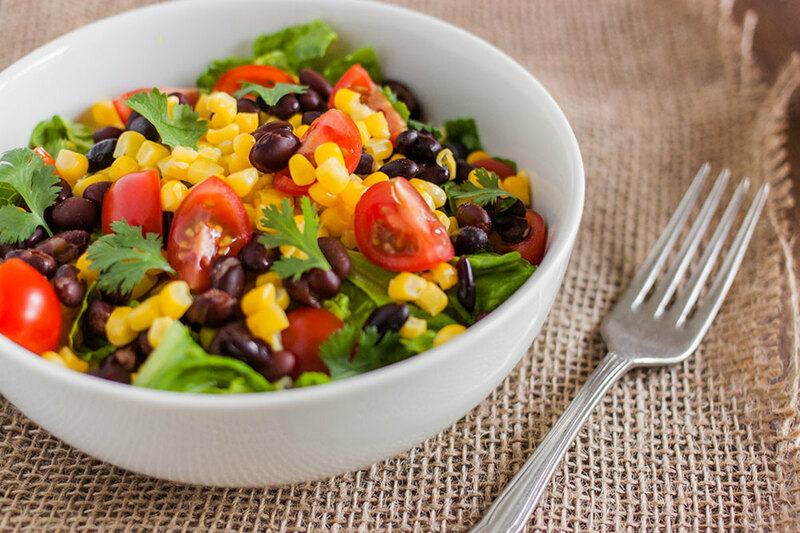 This flavorful and easy-to-make black bean and corn salad recipe will rejuvenate and revitalize you. Guaranteed. 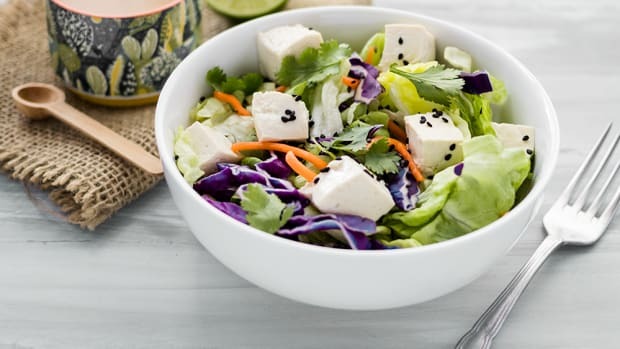 With fresh toppings and a delightful tangy cilantro avocado dressing, there’s nothing stopping this recipe from becoming your new go-to salad. The secret ingredient in this corn salad recipe is the avocado dressing. 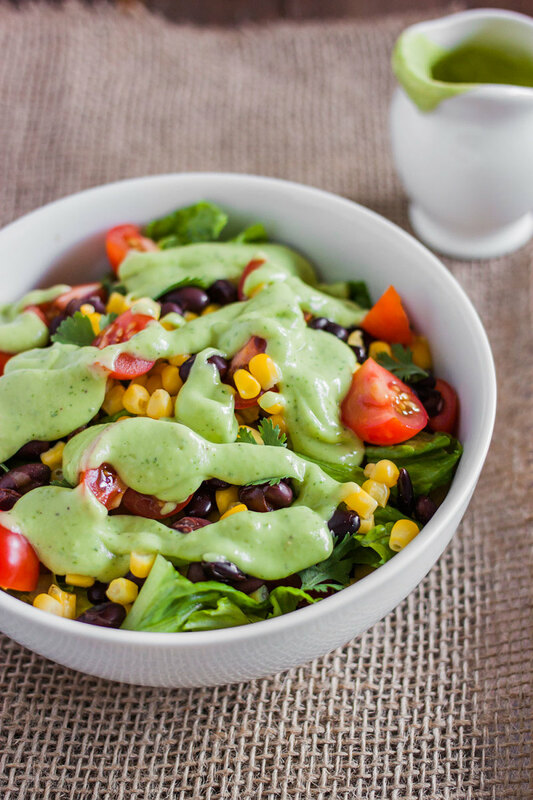 Avocado’s creaminess lends itself perfectly to corn’s crunchy texture, coating each and every kernel with a luxurious dressing that adds a sensational flavor and really completes the salad. An ideal lunch to take to work, just chop and cook everything in advance and then pack in an airtight container. 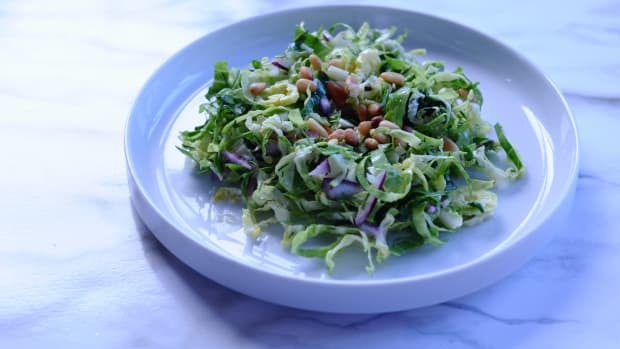 Be sure to store the dressing separately to prevent your salad from becoming soggy. One batch of this recipe should make at least two meals, perhaps more. Corn is in its peak in summer when the harvest is bountiful and corn is stocked at farmers markets and grocery stores. At your local farmers market, you should be able to find plenty of corn ranging in color from white to purple. 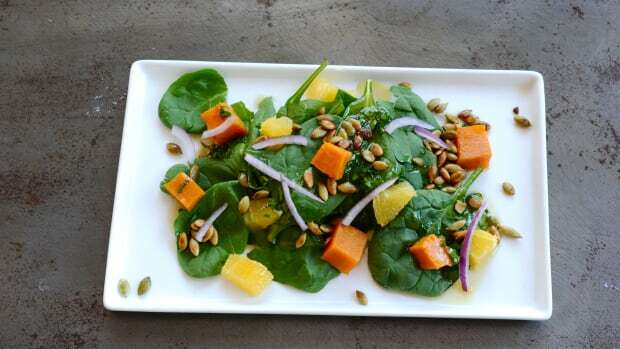 The key to enjoying salads is making sure they are packed with filling ingredients. Luckily, corn is one of those optimal salad toppings. One cup of corn boasts 12 grams of dietary fiber which will leave you satisfied. 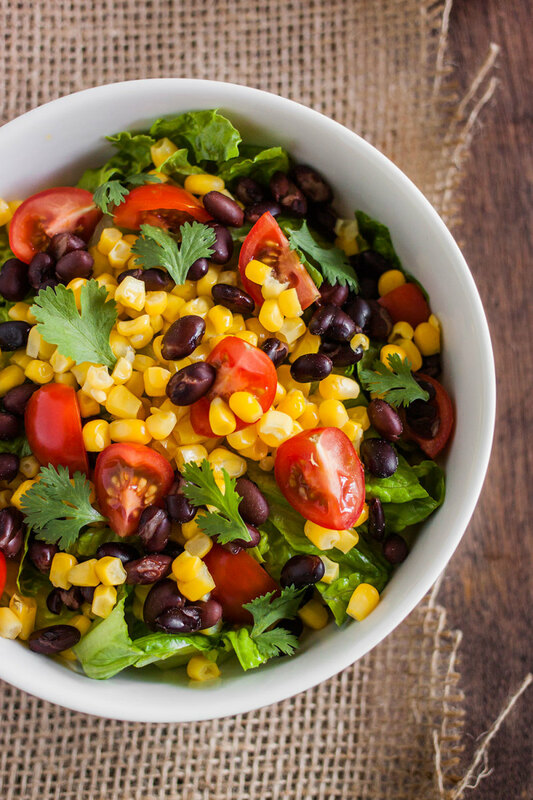 This plant-based salad is not lacking in protein, either, thanks to both corn and black beans. 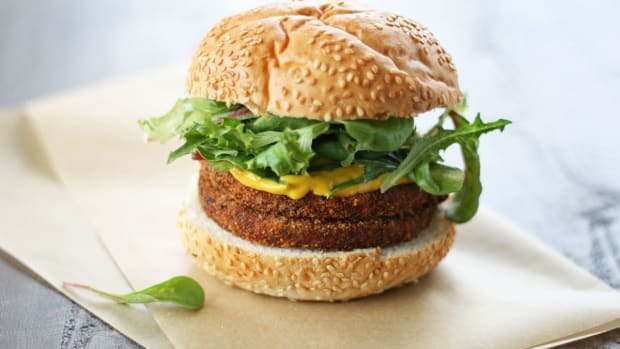 Each have about eight grams of protein per ½ cup. Plus, the two taste delicious together! 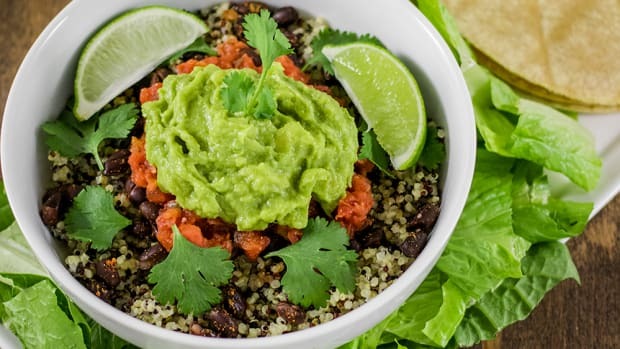 For protein lovers, try adding a few spoonfuls of cooked quinoa, which will boost it even more. Corn is also an antioxidant food. Yellow corn has a high concentration of carotenoids and blue corn on the other hand, gets its antioxidants from anthocyanins. 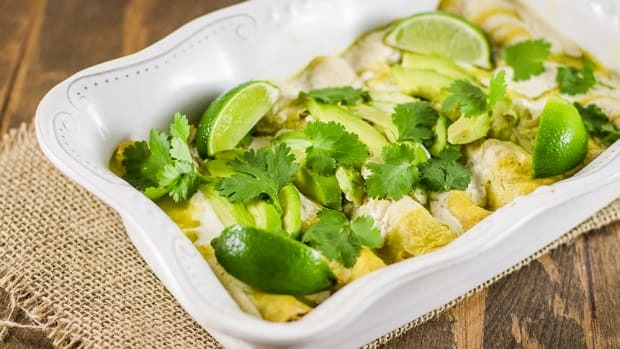 Cooking with certified organic corn is highly recommended for this or any recipe. While corn was ranked #49 on the Environmental Working Group’s Dirty Dozen List, meaning its pesticide residue is relatively low, eating non-organic corn is not certain to be safe, as much of it is genetically modified and sprayed with dangerous herbicides and pesticides, which have known negative health effects. Look for organic corn at your supermarket or farmers market. Bring a salted pot of water to boil. Add corn and boil for 5 minutes, or until fork tender. Drain and let cool for 10 minutes. Meanwhile, chop the romaine horizontally into thin strips, then chop vertically down the middle. Add romaine to a large bowl. Add corn, black beans, cherry tomatoes, and cilantro, if desired. Toss until thoroughly mixed. 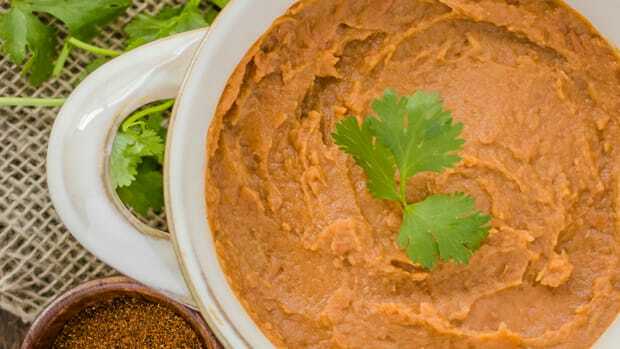 Add avocado, vegan mayonnaise, filtered water, cilantro, lime juice, and spices to a food processor. Process until completely smooth, scraping down as necessary. 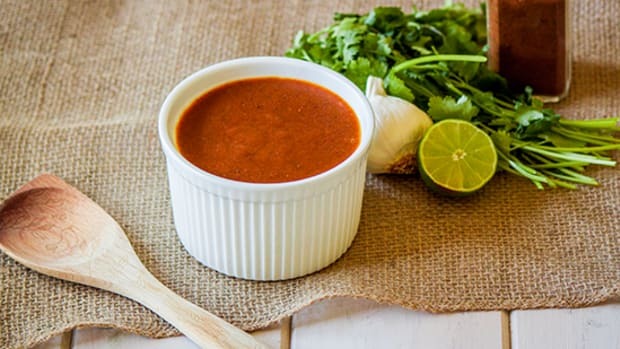 If a thinner dressing is desired, add water one tablespoon at a time until desired consistency is achieved. Once ready to serve, pour dressing over salad and toss until salad is thoroughly coated. Season with salt and pepper. Serve immediately and enjoy!